Faber-Castell’s 12 Watercolour Pencil selection is specially created for children. Create beautiful watercolour pictures or just colour like normal. The brilliant water-soluble pigments used in these pencils allow a silky smooth colour lay down, with fantastic watercolour effects easily achieved with a wet brush. These Watercolour Pencils also feature Faber-Castells award-winning GRIP technology, making them comfortable to hold and easy to control. The ergonomic triangular shape stops hands getting tired, while the leads are made with a special bonding technique to reduce breakage. With their specially formulated Water Based Eco paint these pencils can be washed out of most fabrics. A bit about the brand: Children are bubbling over with ideas and eagerness. Faber-Castell's Playing & Learning Collection encourages children to spend their leisure time in a creative and meaningful way and enables them to enthusiastically play and learn at the same time. The Playing and Learning Collection was created especially for children - safe and innovative products allow children to explore their creativity through the world of colour and are individually designed to suit the age and development of a child. 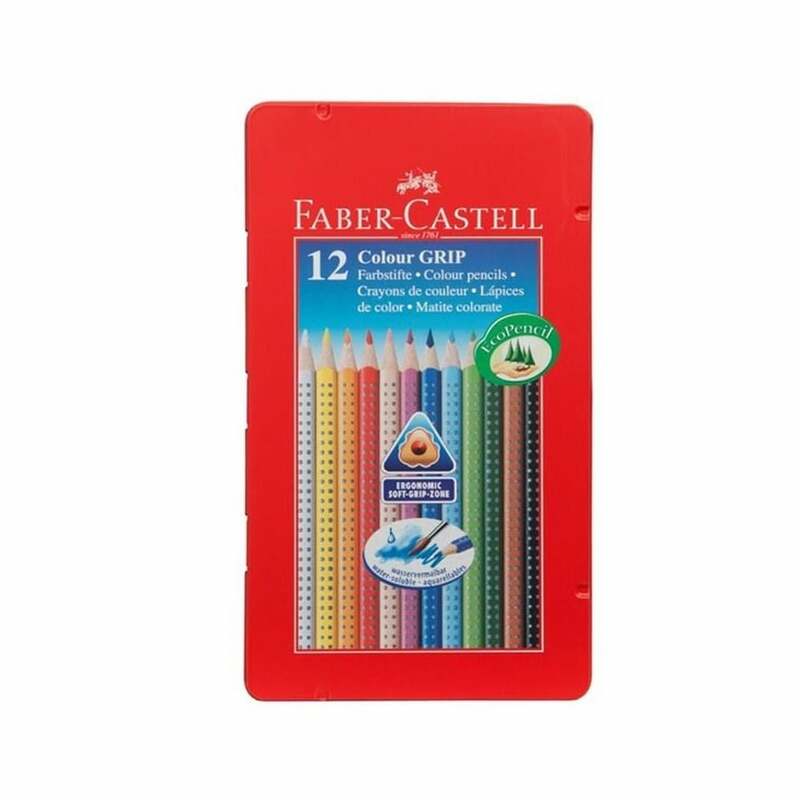 The Faber-Castell Playing and Learning range help children to learn to write, draw, colour in and paint using a range of high quality products that are good value for money and outlast cheaper alternatives.